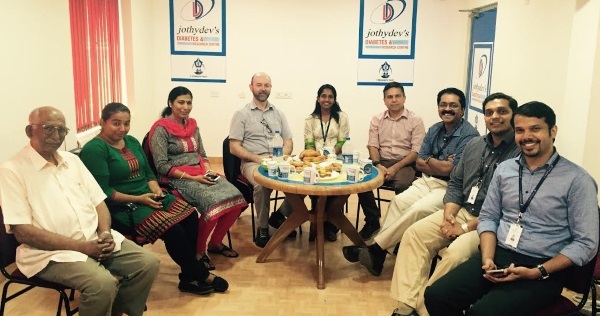 Jothydev's Diabetes Research Centre (JDC) is the first comprehensive diabetes care centre in Kerala since 1997, dedicated to intensive diabetes management with patients from over 25 countries. The centre offers entire diabetes related tests, executive checks; preventive care packages under one roof. It is the first comprehensive care centre in Kerala solely dedicated to diabetes evaluation and management with a telemedicine based follow-up. Practical diabetology programme offered at at Jothydev Diabetes Research Centre, Thiruvananthapuram, India.